I happened upon this recipe in 2011. It’s become a firm favourite in my family. 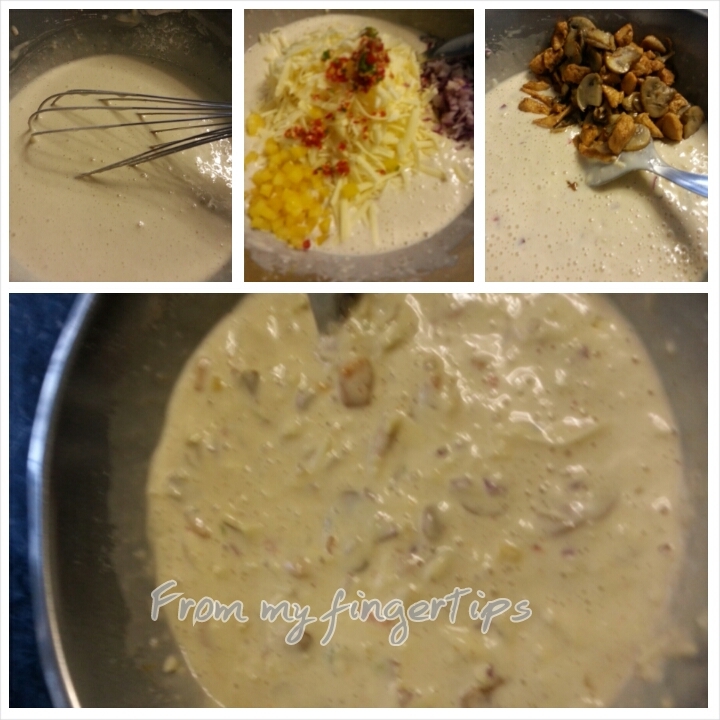 It’s tasty and quick. I adapted it somewhat by adding various proteins whenever I make it. The original recipe calls for pepperoni. Sometimes I use chicken, sometimes crab sticks, sometimes prawns; whatever protein I’m in the mood for really. Mix the flour, baking powder and salt. Whisk the milk and egg together and add to the flour. 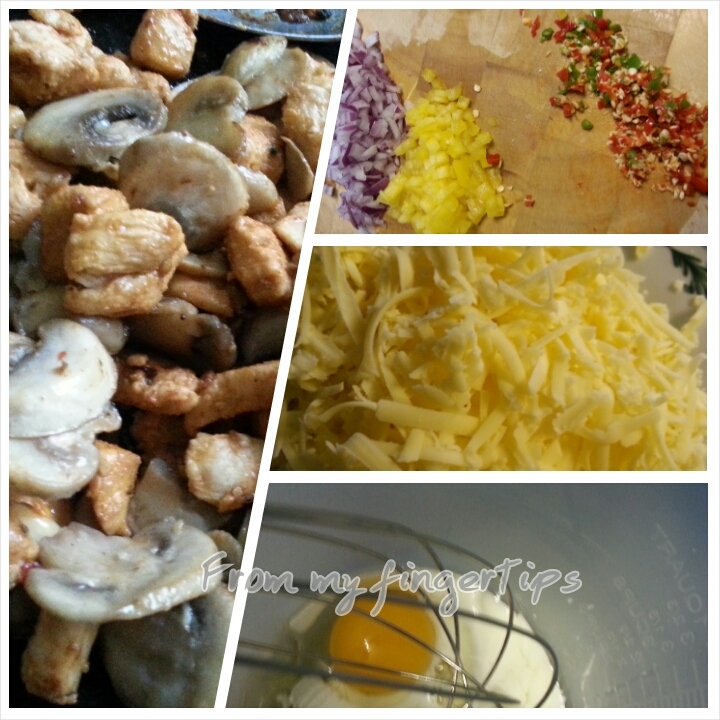 Stir in the cheese, veg and chicken. 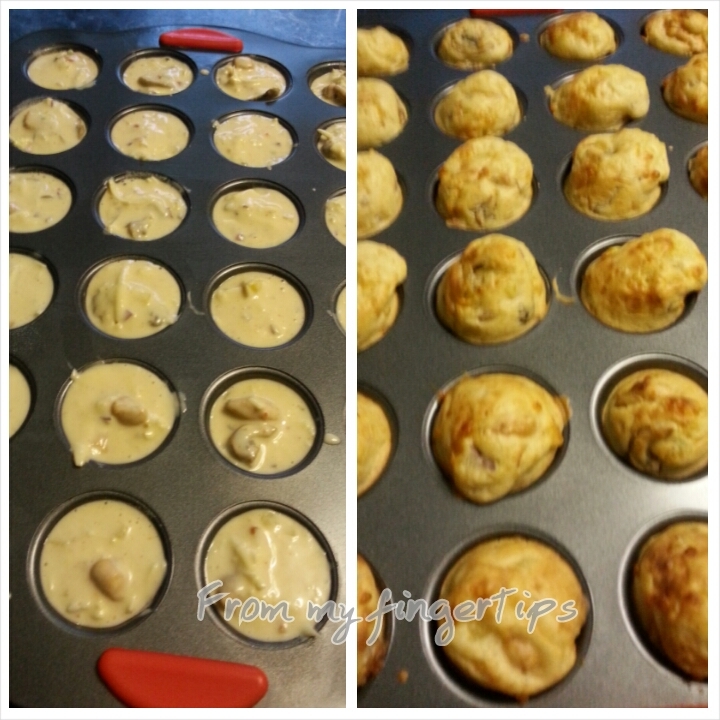 Place spoonfuls of the batter into a mini muffin cup baking tray. Bake for about 20 to 25 minutes. Serve with a dip or just as is. Can’t wait to give this a try. Sounds like a nice quick recipe. Very quick and easy. Made yesterday when I came home and they were warm on the table at iftar. Looks delicious. Will give it a try. Hi…I see it asks for mini muffin tray. I only have normal size one. Does this mean I have to double ingredients? Hi, no you don’t need to double it. You’ll get fewer puffs out though.